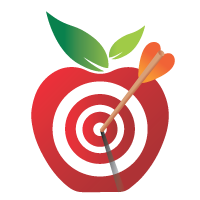 Macronutrient and Micronutrient targets are fully customizable in Cronometer. Tick the Custom checkbox for that nutrient. Click the value to make it editable. Type in the value you want and hit enter to save the change. To make nutrients visible in your nutrients summary, tick the Visible checkbox. The minimum target will be the one seen in the Nutrients Target Summary section of the diary. Some nutrients are not visible by default as they are not generally available from our nutrition data sources. Since there is very little data for these nutrients in our database, the values reported in your nutrient targets may be significantly lower than your actual intake. On the main Diary tab, scroll down to the nutrients section and click anywhere in the bar of the target nutrient you want to change.